It is my second stay at Harveys Guesthouse: the rooms are spacious and comfortable, the location is excellent close to the center of Dublin and convenient to reach the airport, the service is good, above all the hostess is kind and pleasant. If a quiet room is preferred, ask for one situated at the back of the building.. Would definitely return. We had a lovely stay at Harveys Guesthouse. Our room, with private bathroom, was nice and spacious. The location of the guesthouse is truly excellent, convenient to the airport bus and at a close distance from the center of Dublin. Our hostess was kind and helpful. We would certainly return to the Harveys Guesthouse! Accueil sympathique par les fils de la propriétaire absente, en vacances. Établissement très bien tenu, chambre confortable. À deux pas du centre ville, très commode. Good location area a bit run down Excellent Hosts Room clean My only complaint was that my room was on the last floor 5th with 68 steps and Wi Fi was only available on main level in living room! As well breakfast was extra. But all in all satisfied. Sehr charmantes Hotel mit einer sehr sympathischen und liebenswürdigen Gastgeberin, dasselbe gilt auch für ihren Sohn, der für das Frühstück verantwortlich ist. Eilish is superfriendly. The breakfast was delicious.Everything was alright! Very fine place. It has been a pleasure to be here again. The Guesthouse is very well placed. The rooms are spacious and clean. The breakfast was excellent. A place, we will comme again. It was a lovely stay! Hello, We spent 3 nights in this guesthouse with my family, a very warm welcoming, very kind people, helpful and available... We will return there, all the more that it's well located, 10mn by foot from O'Connell Street... Thanks a lot Madam !!! Best regards. We had a wonderful stay. 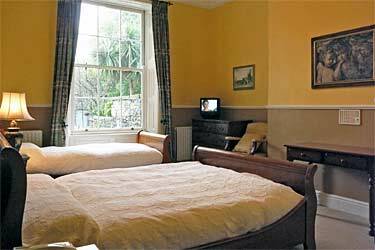 Eilish, the innkeeper was just lovely – she made our stay truly pleasant and was helpful way beyond any expectation. Good location as well. We were welcomed like family and enjoyed our stay so much! Elish could not do enough for us. The room was lovely and the breakfast was wonderful. Wireless printer available and spacious lobby. We stayed 2 nights when we arrived in Dublin and 5 more after touring Ireland. The whole family was accommodating and friendly. Certainly would love to go back. Very nice place to stay. Close to the city centre. Good room, good breakfast. Friendly and helpfull hostess. We were not impressed with this accommodation so we only stayed for 1 night. Clean. Great breakfast. Owners very friendly and helpful. We enjoyed our stay at Harveys Guesthouse. The location was convenient to restaurants and the Hop on Hop off bus. The owner and her family were so friendly and helpful. Would stay here again. We had a lovely time. The place is a lot dated, When I arrived i saw the shabby sign.. Needs a revamp. I should of realised that when I read about the place online that it was last renovated in 1998!, I didn't think at the time but that is over 15 years ago..!! not surprising then its a shabby establishment . Not a bad price for one night but price didn't include breakfast. The land lady was helpful, if a little bit eccentric. She let me leave my suitcase and looked after my Rucksack whilst I looked around Dublin. Although It wasn't very secure and up on my return my bag had gone. Turned out she'd gone for nap and took my bag into her room for safe keeping. So panic over. The early morning 4 AM Seagulls Squawking and the dustbin men truck rudely awoke me and i was red hot and couldn't sleep in a tiny room on top floor. Shower was rubbish too. It intermitently worked , Water , then no water. All in all a great stay ..NOT !! Lovely friendly guesthouse in a great, central location. A very walm welcome and hosts who couldn't do more for us. The B&B was a 5-10 minute walk from O'Connell Street, we visited many areas and walked everywhere. The room was spacious and functional, if a little worn and dated, but I would stay again for sure. Bien placé pour pas trop cher. Eillish et Georgina sont très simpas. Very helpful staff with tourist informatio. We were greeted very well. The room was clean and the hotel has a great location airport and city center. We were perfectly happy during our stay. A very nice family place. Was a beatiful weekend !!! it was great.. very good location... very good brakfast.. very good hosatlity.. A warm welcome and very nice owners. The building is not new but with lots of charm.. I was in harvey guesthouse with my family for four nights in august 2014. It's a very nice place. Mrs. Eilish was very kind to us. We'll return of course! A very nice guesthouse with a warm atmosphere. It´s almost like visiting somebody´s home. It might need some redecoration, but it´s still very charming. Good breakfast, big room, good location. If we return to Dublin we would like to stay at Harvey´s again. We had a wonderful experience at Harveys. I would recommend it highly. We flew into Dublin and arrived there . Elish took great care to help us get settled and deal with the jet lag of traveling. The location is a easy walk to downtown, a good place to stay without a vehicle. The breakfasts were wonderful. I would love to stay there again. Most gracious and genuine hosts we found anywhere in the UK and Ireland, along with the most varied breakfast offerings, including fresh fruit! One of many B&Be in the area, this one distinguishes itself by conversation, interest and deep friendliness that is not a facade just for money. We had long conversations in the common room after our days of walking. All their recommendations were trustworthy, and they were welcoming to a bigger than average family! The cleanliness of the updated bathroom was of a high standard, The beds were very comfortable, and the linens impeccably fresh. The room itself was large and full of natural light. We really enjoyed our stay at Harveys. Very nice people, good breakfast an not far to the city center. Very disappointing, not at all as advertised. While it was in a relatively good position it was not 'luxury' or 'recently renovated' as stated. It may have been painted & some tiling done in the last year or so but the furniture was old not antique, there were tears in the bedspread & curtains, plaster was held onto hall walls by sticking plaster etc. The breakfast was poor with eggs pre-cooked and kept warm, fruit salad with extra fruit added to the day before's leftovers, a minute glass of orange juice pre-poured with no chance of getting more and so on. The host's attitude was unwelcoming and not at all helpful. We really appreciated our stay at Harveys. At the end of our trip in Ireland, we came back there for our last night in Dublin. The host is adorable and always seeks for her guests to feel comfortable. A place to recommend. Very sincerely.